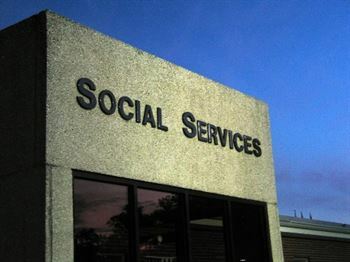 Social work is a field where trained professionals work for the welfare of individuals, communities, families and groups. Social work enables people and communities to deal with challenges and enhance their well being. It helps to promote social change and empowers people for social and economic development. Social workers are engaged in a number of activities such as counseling, diagnosis of societal problems, interpersonal problems, community development, teaching, helping the physically or mentally challenged and socio-political research. Every activity in social work leads to providing services to individuals, families, groups, communities and organizations. Generally, the eligibility for pursuing a Master degree is graduation in any discipline but candidates having a bachelor's degree in Social work (B.S.W./ B.A) or psychology, social science, sociology or any other related field get preference for Master degree in social work. Candidates can opt for specialization in MSW like medical & psychiatric social work, HRM, criminology, correctional administration, family and child welfare, rural and urban community development etc. Most universities in India conduct an entrance test for admission to MSW programme but some institutes offer admission on the basis of marks in the qualifying examination. What is the scope of MSW? After pursuing a Master degree in social work, one can apply for jobs in various fields. The job opportunities are always high in the medical field. MSW pass outs with specialization in the medical field can work in hospitals, nursing homes and rehabilitation centres. A masters degree is not required in all areas of social work but mental health is a field which requires a Master degree with specialization in mental health. One can work in community health centers, mental hospitals, schools and charitable trusts for mental health. MSW holders can also work for child welfare organizations where they can serve the children who are neglected by parents or children from low-income families. Another area where social workers can find jobs is social school work. This is one of the most common areas of social work. A MSW graduate can work as a counselor and offer guidance to students and address their issues such as behavioral programs, sexual education, health education, truancy prevention programs, crisis intervention and communication between teachers, parents and students. What are the jobs for fresh graduates after MSW? Fresh graduates can apply for a variety of jobs in the field of social work. Most of the government jobs for social work do not require experience. So MSW freshers can apply for government jobs and for jobs in Non-government organizations (NGO’s). Some corporate sector companies and industries also offer jobs to fresh graduates. What is the salary of social workers? The salaries and perks for social workers depend majorly on the qualification and work experience of the candidates. Freshers can easily get a salary of Rs.8000/- to Rs.15,000/- in government and non-government sectors. International NGOs and organizations like UNESCO, UNICEF, WHO pay higher salaries and perks to their social workers. Salaries in NGOs also depend on their financial resources and many international agencies pay well. Earlier, the compensation for social workers was not much but now with the increasing demand for workers and government-aid, the salaries and compensation is increasing in social work organizations. What is the future scope of MSW? India is a growing economy and growth impacts the population of a country in many ways. In a growing economy, society will have to face new problems such as child labour, illiteracy, migrant labour, urban poverty, AIDS and crime against women. Social work organizations and NGOs will need to work on new projects to tackle all such problems due to rising economy which will ultimately lead to the creation of new jobs in the field of social work. What is the scope of social work in India? Social work graduates can work as administrators, researchers, policymakers and planners. Policymakers and policy advocates work with the state and central government to set up publicly funded programs to address the issues such as poverty, child abuse, violence, homelessness, mental health and other issues. Social workers can also work as counselors within a clinical specialty or a specific community. They can also work for rehabilitation centres as counselors for addressing drug addicts. Social workers having a Master degree can also apply for teaching jobs in colleges and universities. Master degree holders can also apply for administrative and supervisory positions in government agencies and corporate houses. What are the top colleges for MSW course in India? There are many institutes and universities in India that offer Master degree in Social work. Candidates having a professional degree in social work can find job opportunities in reputed organizations. The colleges mentioned in the above list are not arranged on the basis of any ranking or survey. However, these are considered as the best colleges for social work education in India. Social work is a rewarding career for those who want to serve others. Mostly the career is opted for serving the society and enhancing the lives of people in order to make the country and world a better place to live in.